We now accept payment by credit card. Please call for more information. We would be grateful if you would take a moment and complete the survey. 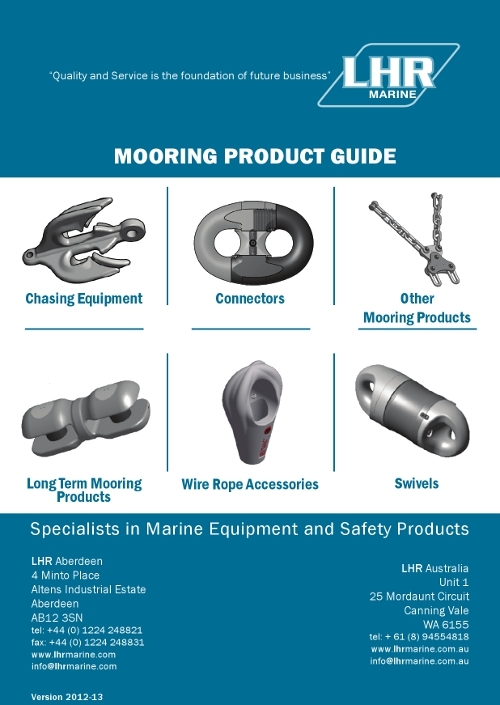 Please click the image below to view our new "Mooring Product Guide". Our reputation for selling Offshore Mooring Equipment is well known internationally. However, we also represent top quality manufacturers of: Working at Height Equipment, Anti-Slip Solutions, Marine Safety Products, Personal Protective Equipment (PPE), Workwear and Industrial Supplies. Our recent successes include global agreements with major subsea shipping companies and international mooring companies which have been established from our service provision for over the last ten years from Aberdeen, Scotland and Perth, Australia.